Just wanted to share a fun picture from the most recent snowstorm. This just cracks me up! 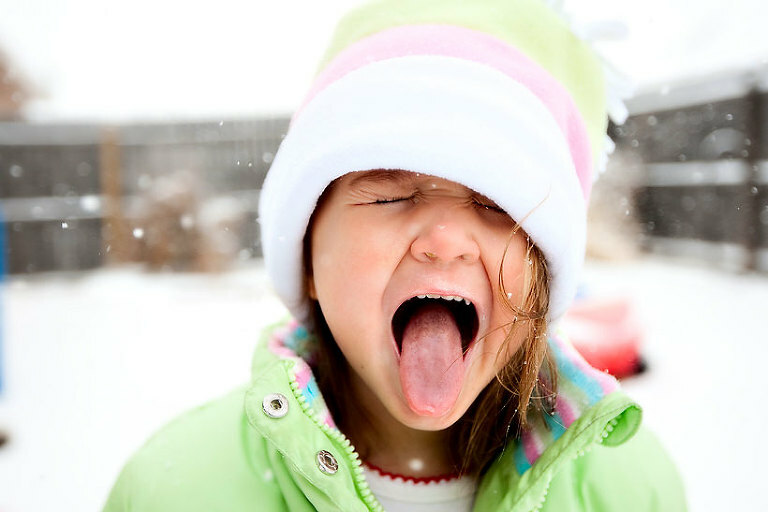 This is Storie, trying to catch a snowflake on her tongue. The snow was coming down so hard, that she pulled her hat down over her eyes, covering them completely! I pulled it up several times, but this was the highest she’d let me raise it, and only for a moment.